Helps in promoting a healthy metabolic rate and circulatory system and in maintaining general health and fitness, reduce fat, stimulate blood circulation, reducing unnecessary body weight. 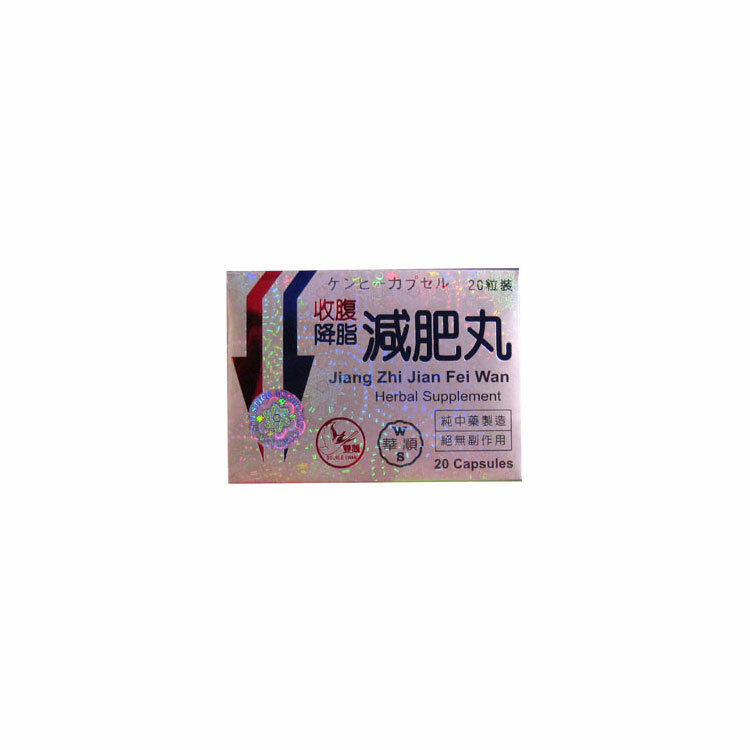 Keep Fit (Jiang Zhi Jian Fei Wan) has been scientifically formulated to support the body during a weight loss program. The selection of herbs in this product work in synergy to increase fat metabolism and energy levels. It is effective in reducing fat, stimulating blood circulation, balancing metabolism and enabling one to be sturdy. Prepared entirely with mild traditional Chinese medicine, it is free from side effects. Perseverance in taking the capsules for a long period of time enables one to keep in good health and good shape and is beneficial in prolonging life. This thermogenic preparation should be included as part of an overall weight loss program and is most effective when combined with a reduced calorie diet, moderate exercise and a healthy lifestyle. While taking the capsules, please refrain from eating fatty and greasy foods, continue to exercise, and lead a healthy lifestyle.